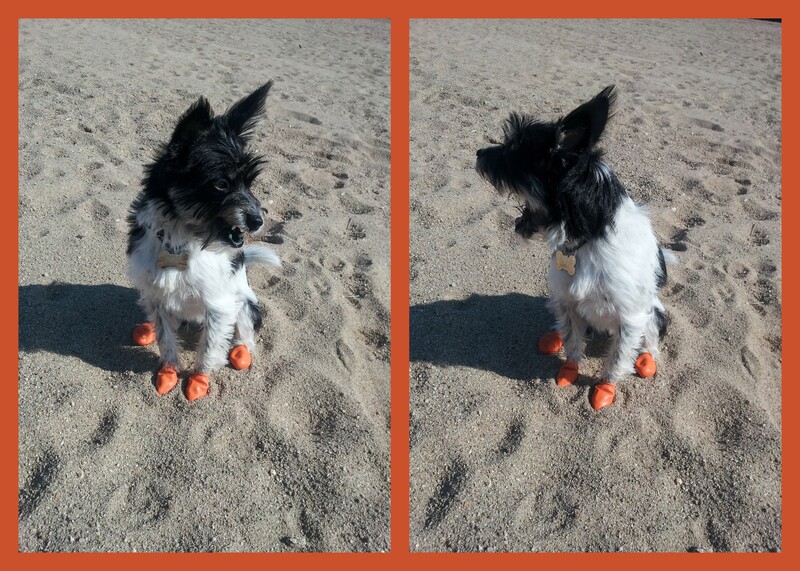 Review: PawZ dog boots | I Heart Webby! What I like best about Pawz is that it’s not like a lot of the typical dog boots you see out there. There are no straps or zippers to deal with, and it’s not at all clunky. It’s really more like a sock–and since my dog can still feel the ground with her paws, she got used to them quickly. As you can see in the picture above, you can still clearly see Webby’s paw prints in the snow. What’s even better is that they come in a set of 12, so I can easily replace a lost or worn boot as needed. I hate the idea of having to shell out big bucks for boots, only to have the set ruined (and the money wasted) if a boot is lost. I’ve already experienced a winter season of using Pawz with my dog, Webby. We started with the orange (XS) ones, but then we had to move on to the red (S) ones since she kept growing. As you can see in the picture above, the orange ones were getting a bit tight for her. I was a bit bummed by this, since the size determines the color, and I loved the orange against her black fur—it reminded me of my favorite holiday, Halloween! This year, I now have my foster dog, Hoochoo, to take care of, and the orange ones work great for her. A few tips if you go the Pawz route (which I recommend! ): since dogs sweat through their paws, the insides get moist when my dogs get active. It’s important not to leave the boots on for extended periods of time. Also, I turn the boots inside out after I take them off to help the insides dry. You’ll also need to be good about keeping your dogs’ nails trimmed. If they are too long, they are likely to puncture a hole through the boot with repeated walking and running. Another tip: Make sure you have a video recorder handy the very first time you put Pawz on your dog! It’s a pretty good bet that it will be a funny site as your dog gets used to them. Fortunately, both of my dogs adjusted very quickly, and then they were off running and playing like their usual selves. I had someone ask me if the fur would get caught while removing the boots. This isn’t an issue for my short-haired dog, Webby–but Hoochoo can get pretty furry. I trim the fur around her paws a bit, and also make sure I stretch the opening first before I pull the boot off. Although I live in Korea, I’ve been very fortunate to find vendors who import Pawz from the US. So far, I’ve been able to get my Pawz for about the same cost as it is in the states (around $14), so it’s only a little over a dollar per boot. For those of you who get Pawz, happy trails to you and your four-legged friends! Fortunately, I checked Gmarket, and the larger sizes are in stock as well! Hope this link helps! 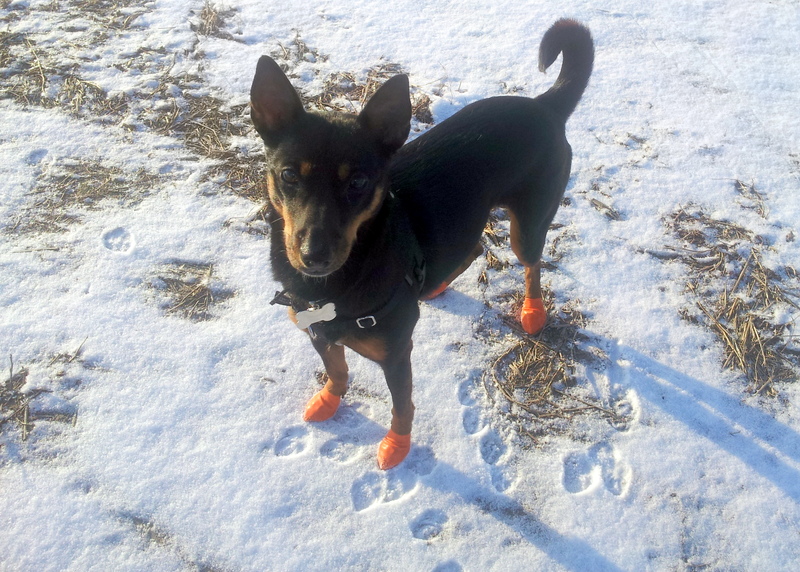 The disposable/reusable/biodegradable dog boots is pleasing because it’s waterproof, easily replaceable and it protects dogs’ feet from snow, salt and mud.